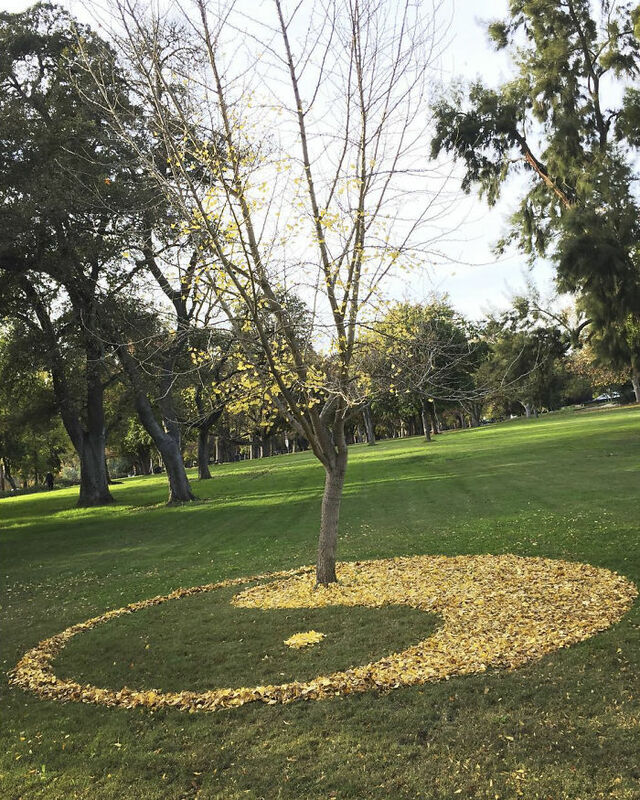 Researching environmental art and the variety of forms it can take I can across the following information. Some of these were used as the starting point for some of my own interactions in the environment! 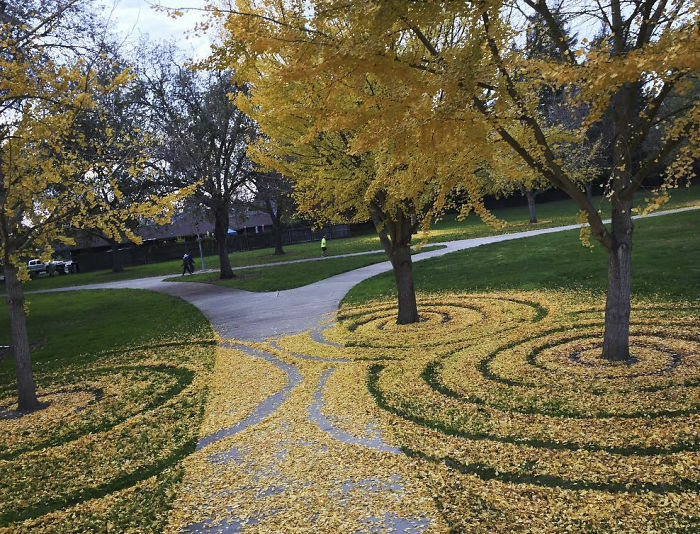 Every year since 2013 Joanna Hedrick creates spectacular leaf art on the Sacramento State University campus. 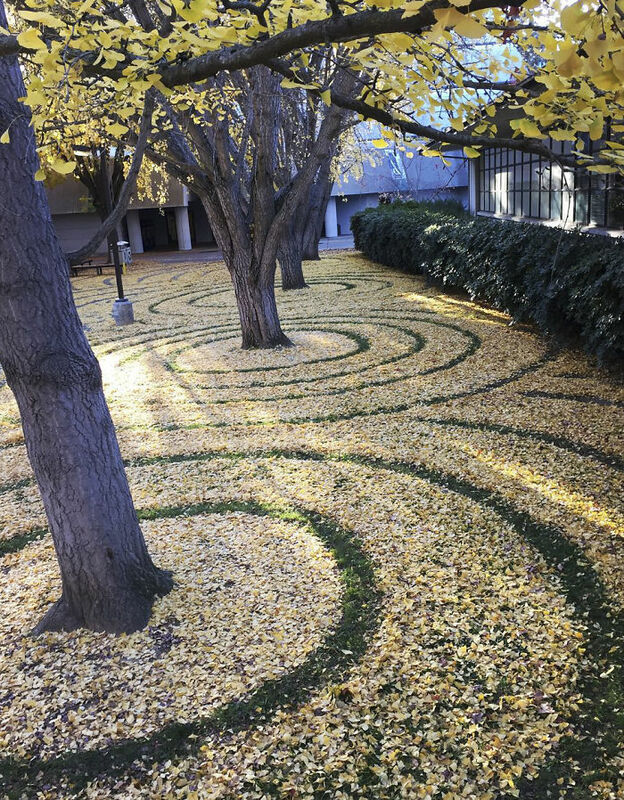 These fallen gingko leaves are reminiscent of crop circles. 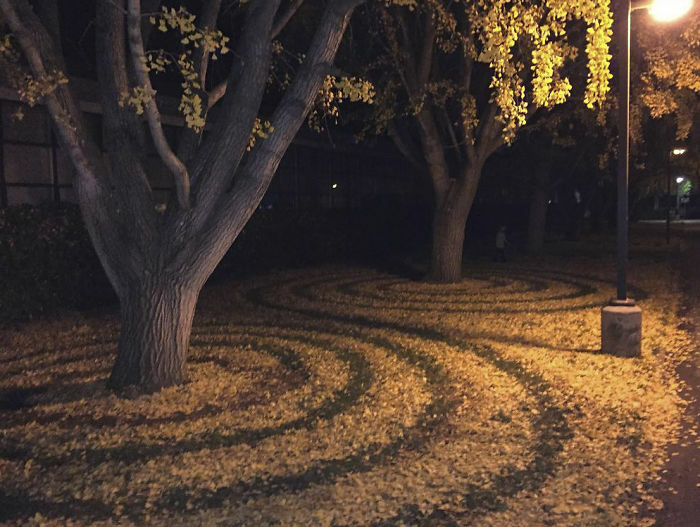 Hedrick a counsellor at the University, has become an internet sensation due to her seasonal creations dotted around the campus. 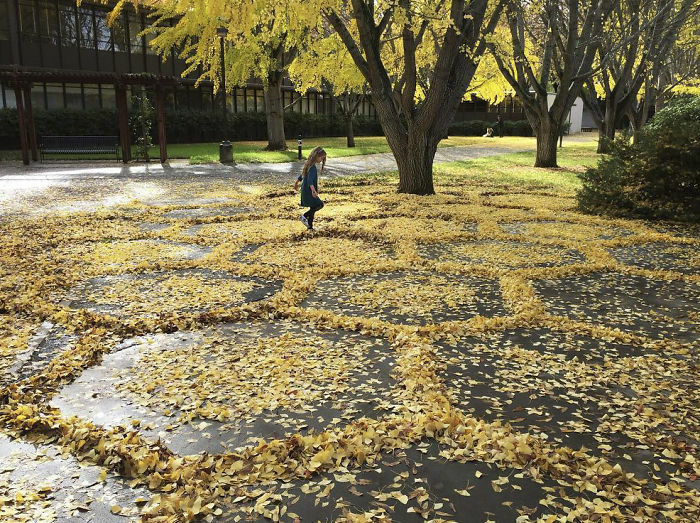 She draws inspiration from Andy Goldsworthy, the British environmental artist. 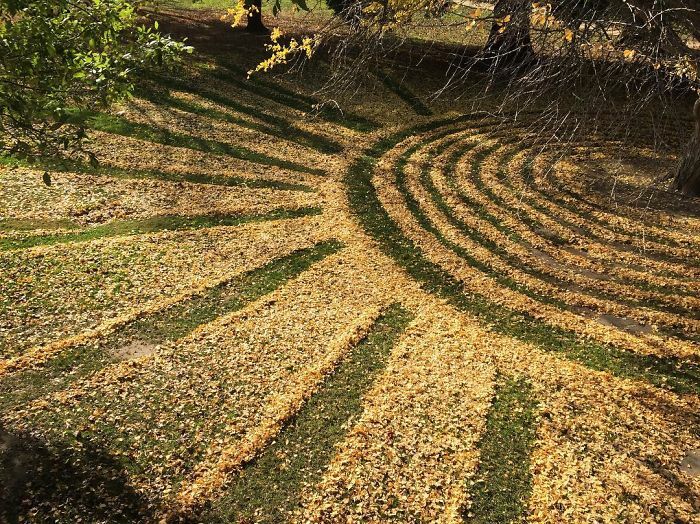 Each year she evolves the designs striving to achieve more complex arrangements. 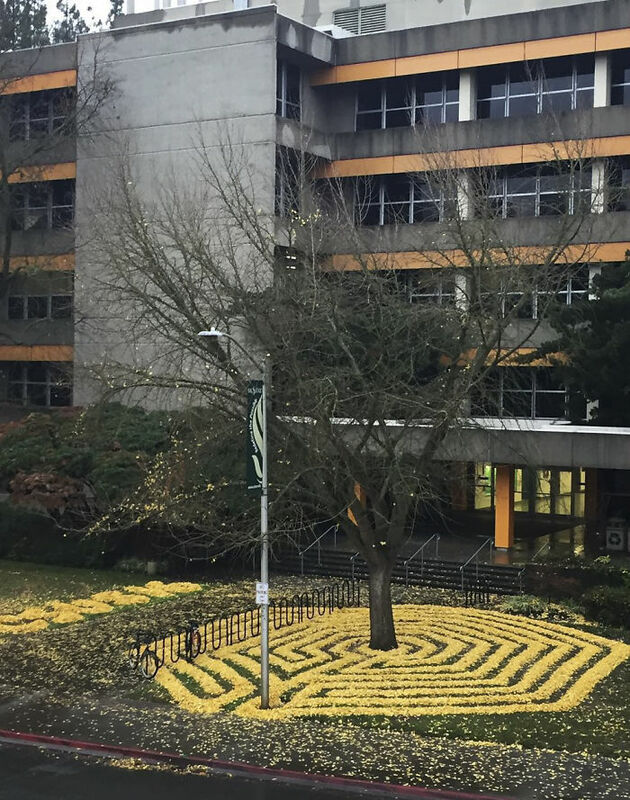 Some designs include honeycomb-effect displays, intricate mazes as well as spirals and circles, they usually take approximately 3 hours to create, and she manages usually 6 per year, obviously limited to the autumn months, the campus leaves each on display for about three weeks. Though a good windy evening and all the hard work is dispersed. 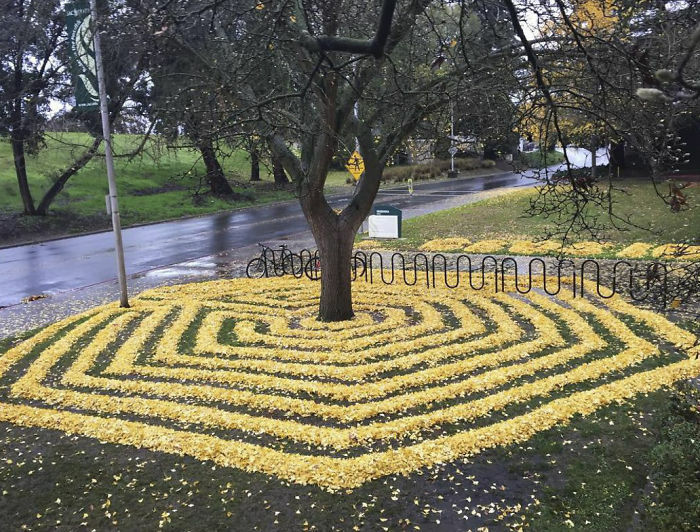 This is wonderful work! 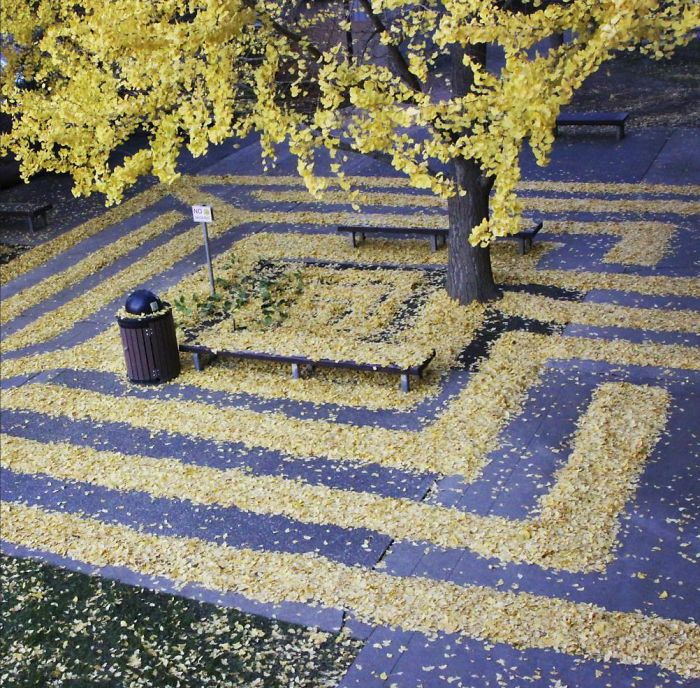 I lived at one point in my life somewhere there were lots of gingko trees and have taken heaven knows how many autumn photos of them because of the sensational colour. 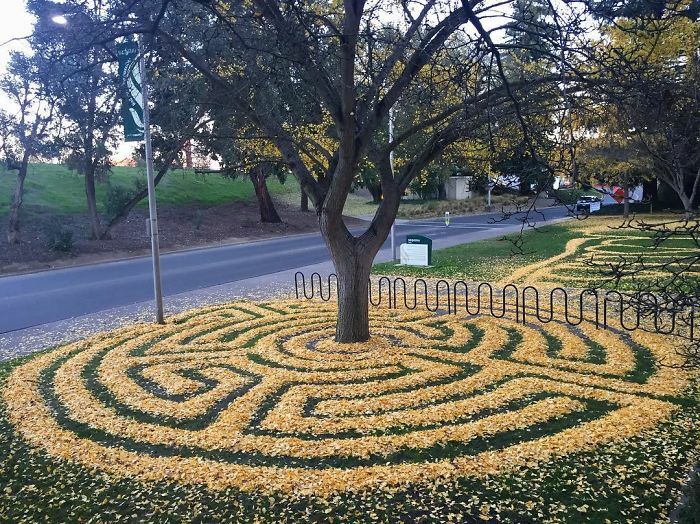 But I’ve never come across this work before – thanks!